Dub-Eye arena of valor tutorial honour of kings how to watch game replay in arena of valor Does Arena of Valor has Game Recording/Replay like Mobile Legends? Does Arena of Valor has Game Recording/Replay like Mobile Legends? 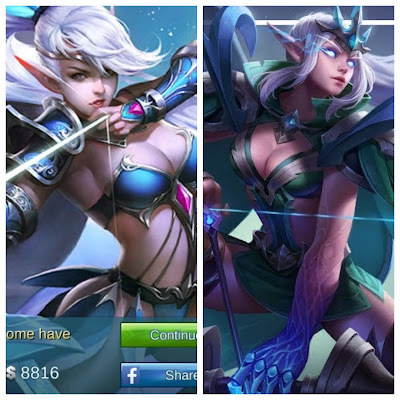 Where is Arena of Valor (Honour of Kings) game replay like the one on Mobile Legends? I am trying to find out if I can replay my most recent and previous game in Arena of Valor like in Mobile Legends. Arena of Valor, also known as Honour of Kings in China, is mixing up the team multiplayer battle arena format and shrinking it down to work in short bursts on iPhone and Android smartphones. Experience Arena of Valor, an epic new 5v5 multiplayer online battle arena (MOBA) designed by Tencent Games. Master unique and powerful heroes while teaming up with friends. Create the most dominating team the MOBA world has ever seen! In Mobile Legends when you click your avatar then the Statistics of your game profile including the "View Replay" will show up so you can play and watch your gameplay again. While in Arena of Valor it is just showing Combat History statistics with no video replay option to watch your gameplay.